McLeod Racing 75109 - McLeod Street Pro Clutch Kit Mopar 10.5 x 1 x 23-Spline Chrysler, Dodge, Plymouth 5.2L, 5.4L, 5.9L, 6.3L, 6.6L, 6.8L; 1959-1979. 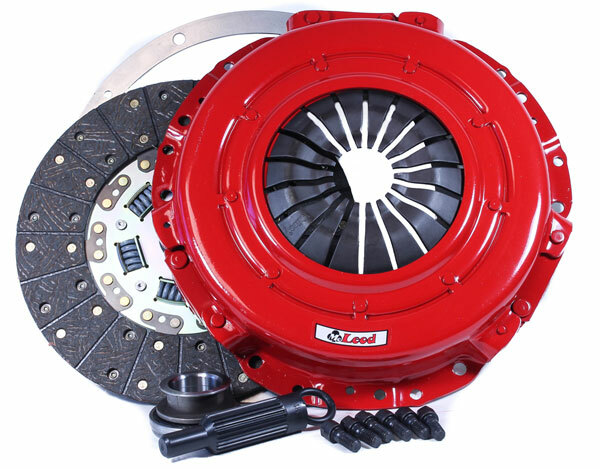 STREET PRO The Street Pro clutch kit is the perfect choice for an entry level performance clutch for the street. We recommend it for cars up to 400hp with mild engine mods and street tires. Included is a high clamp load pressure plate, an organic disc for smooth and even engagement with increased holding power over stock. Our kits are complete. They come with pilot tool, throw out bearing (where applicable) and pressure plate bolts (where applicable). If you are looking for a clutch that&apos;s a great step up from your stock set up, the McLeod Street Pro is the clutch for you. Below are other popular parts other customers have purchased for their Dodge . McLeod Street Pro Clutch Kit Mopar 10.5 x 1 x 23-Spline Chrysler, Dodge, Plymouth 5.2L, 5.